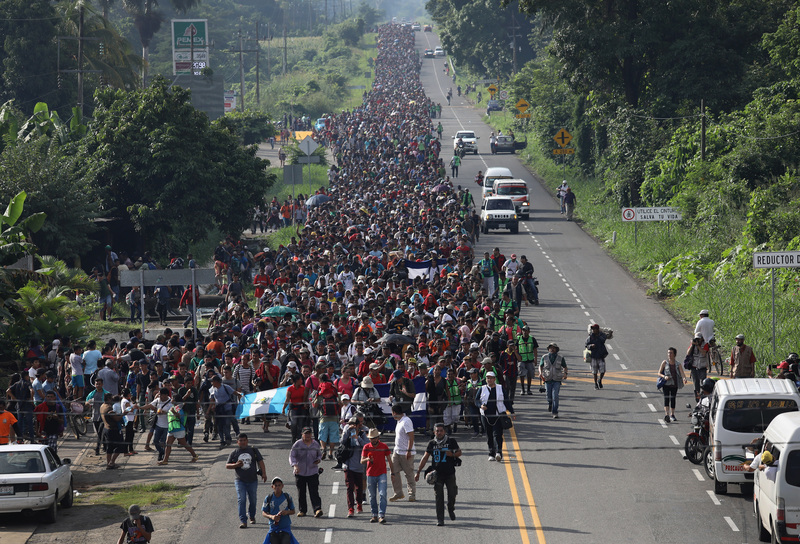 The Department of Defense is ready to deploy 5,000 members of the U.S. military to the southern border ahead of the potential arrival of thousands of Central American migrants who reportedly plan to bypass asylum offers in Mexico and head straight for the U.S.
U.S. officials announced this new number Monday, up from the originally reported 800 troops, according to The Wall Street Journal, and in addition to the 2,000 members of the National Guard that were deployed to the border in April. The Pentagon, in conjunction with the appropriate federal law enforcement agencies, is planning to station most of the troops at the respective ports of entry in the beginning phase of the operation, which the Pentagon has named Operation Faithful Patriot. The White House was also reportedly planning to close down the border completely as of Oct. 25, a move that would mirror the administration’s travel ban on citizens from several Muslim-majority nations in 2017. Under this new plan, around 1,800 troops will go to Texas, 1,700 to Arizona and 1,500 to California, WSJ reported. The makeup of these thousands of troops, who are expected to stay there until mid-December, will mostly be made up of military police and engineers as well as some U.S. Marines. These numbers, a U.S. official told WSJ, are not definite yet, but if 5,000 ends up being the total figure of troops deployed, it would be greater than the number of those deployed in Syria and Iraq. U.S. President Donald Trump repeated warnings for the migrants, most of whom have arrived in Mexico from Guatemala, Honduras and Nicaragua, in a Monday tweet telling them the military would be waiting for them at the border. Trump is expected to give a speech outlining the plan Tuesday.